WHEN Mano Ndlela (51) saw municipal workers fixing a water pipe near her house, she thought the community’s water problems would be over. But she didn’t know that it was just the beginning of more difficulties. Mano, from Richmond Farm in Ntuzuma, claimed eThekwini Municipality workers did a shoddy job. She said when the workers removed the pavement they did not replace it properly. Mano said since the pavement was removed, water flows from the road into one of her shacks. She said: “Even the pipe they came to fix still leaks. “I thought they were here to make a difference but it seems they came to cause more problems for me. She said last week residents barricaded a road to protest against water shortages. Mano said she informed Councillor Mondli Zwane about the problem but nothing was done. “I want Zwane to contact the municipality so they can come back and fix the pavement. I can’t buy more furniture because as long as the pavement is not fixed my belongings will just be damaged again,” she said. Zwane said he would attend to the matter soon. 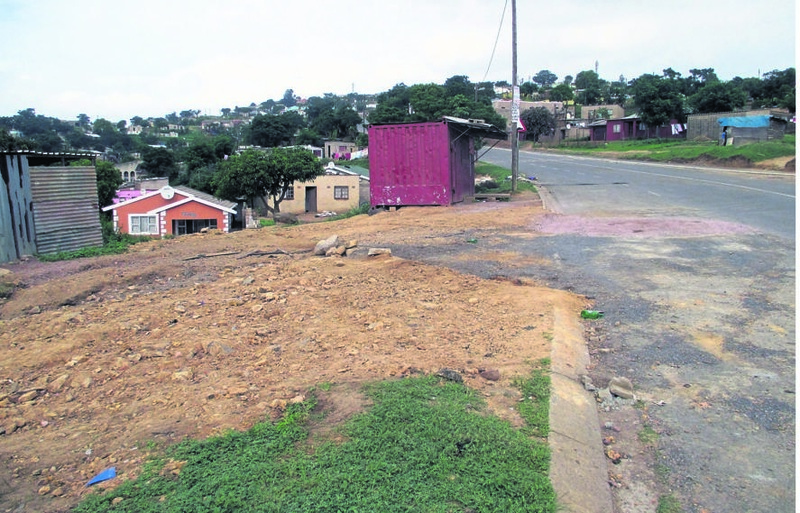 Municipal spokesman Msawakhe Mayisela said the matter would be investigated.